Epigenetic modifications accomplish the functional compartmentalisation of our genome. They ensure a high level of compaction of our DNA in a manner that nonetheless allows genes vital to given cell types to be expressed appropriately whilst sequestering away silent genes. The stability of epigenetic modifications provides long term memory in phenomena such as X-chromosome inactivation in females and genomic imprinting, but epigenetic states must also be dynamic as they are intimately involved in establishing the gene expression programmes that define cell lineage and are required to register changes in the environment. 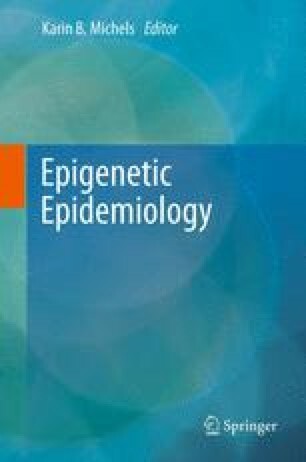 In this chapter, I shall describe the major epigenomic events that occur during mammalian development, from the specification of germ cells, to how the epigenome differences of the gametes are resolved at fertilisation, and how epigenomic events contribute to and reinforce lineage determination events. The advent of genome-wide profiling technologies is providing us with an unprecedented opportunity to investigate the scale of epigenomic changes during development and differentiation and how epigenomes are altered in disease.